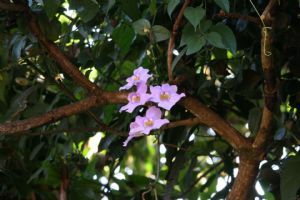 Thunbergia grandiflora is an evergreen vine in the family Acanthaceae. 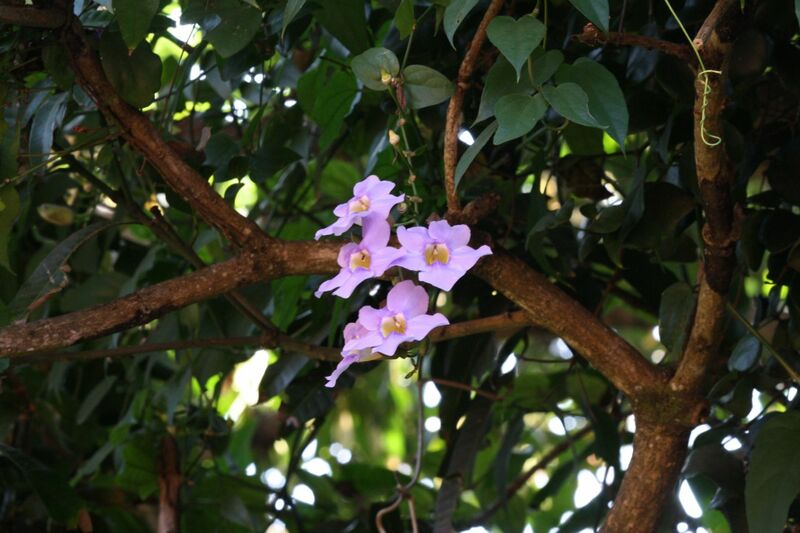 It is native to China, India, Nepal, Indochina and Burma and widely naturalised elsewhere. 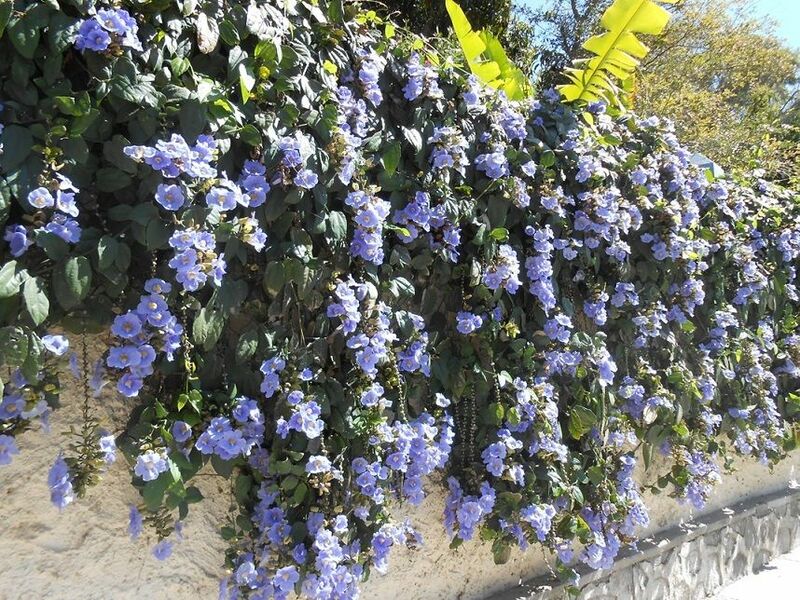 Common names include Bengal clockvine, Bengal trumpet, blue skyflower, blue thunbergia, blue trumpetvine, clockvine, skyflower and skyvine.